Shrove Tuesday at Palmer Memorial Episcopal Church in Houston means pancakes in the kitchen and fire on the patio. 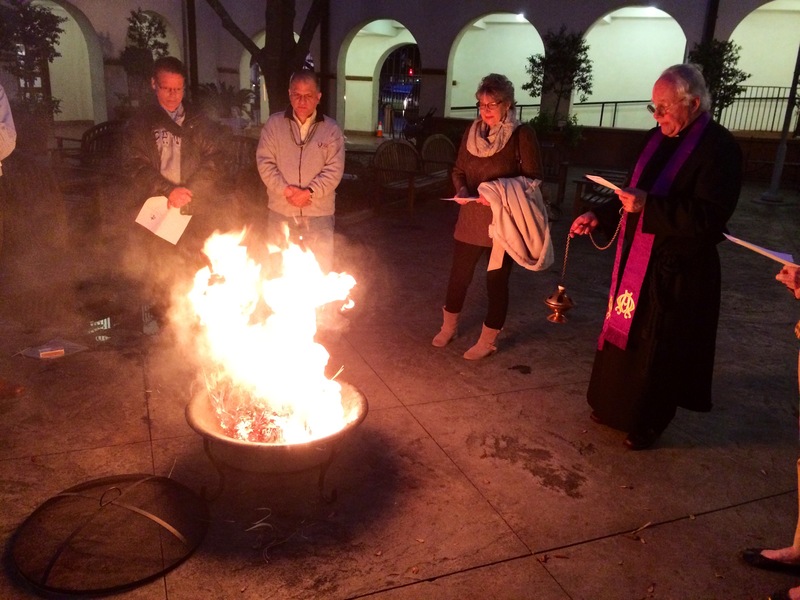 What’s being burned in this photo are palms from last year’s liturgy for Palm Sunday. The ashes will then be used to mark with the sign of the cross the foreheads of those who either come to worship with us on Ash Wednesday or pass by the intersections or light rail station near the church, where members have already volunteered to meet all sorts and conditions of people who will be passing through the Texas Medical Center. That happens tomorrow!